Item # 302204 Stash Points: 7,995 (?) This is the number of points you get in The Zumiez Stash for purchasing this item. Stash points are redeemable for exclusive rewards only available to Zumiez Stash members. To redeem your points check out the rewards catalog on thestash.zumiez.com. 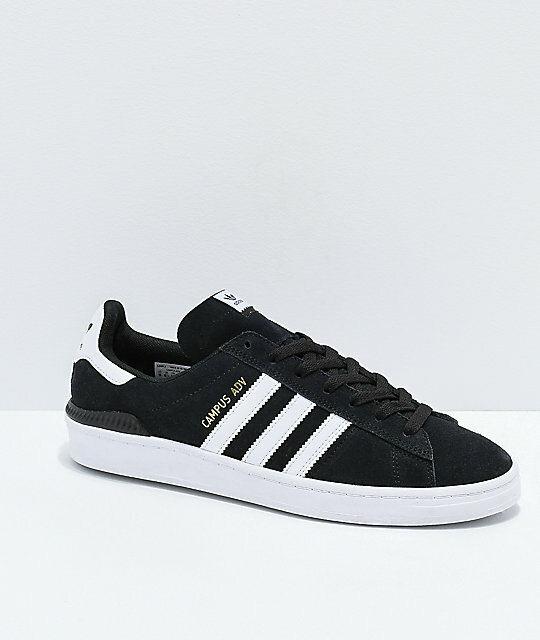 Get the next level of adidas skate performance with the adidas Campus ADV Black & White Shoes. With all the board feel and skate performance of the traditional Campus model, these durable shoes also feature ADITUFF technology at the toe for more abrasion resistance. Additional padding is also added within the heelcup for impact resistance and comfort whether you're shredding the skatepark or walking to the bus stop. 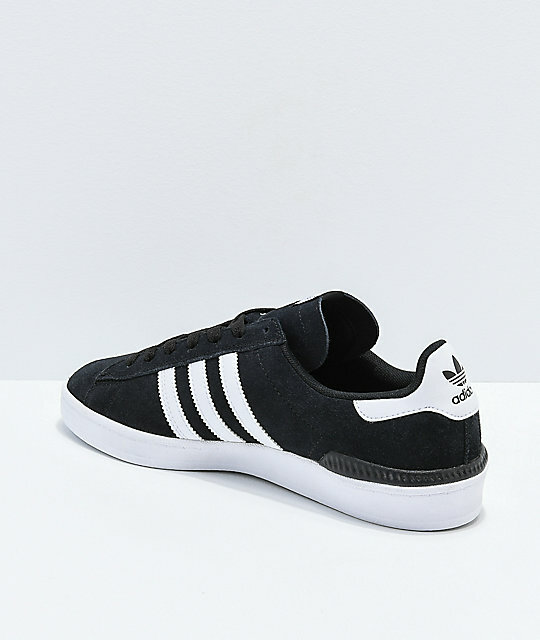 Campus ADV Black & White Shoes from adidas. 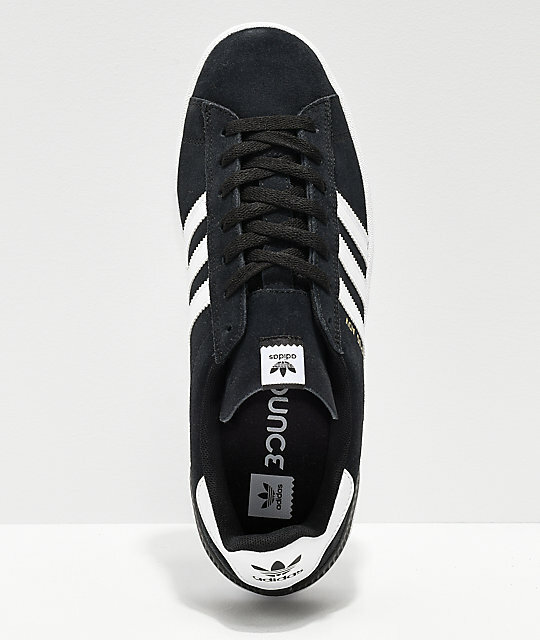 Heavy-duty suede upper with synthetic logo 3-stripes on sidewalls. ADITUFF technology added to toe area for abrasion resistance. Woven tongue and quarter panel for increased breathability. 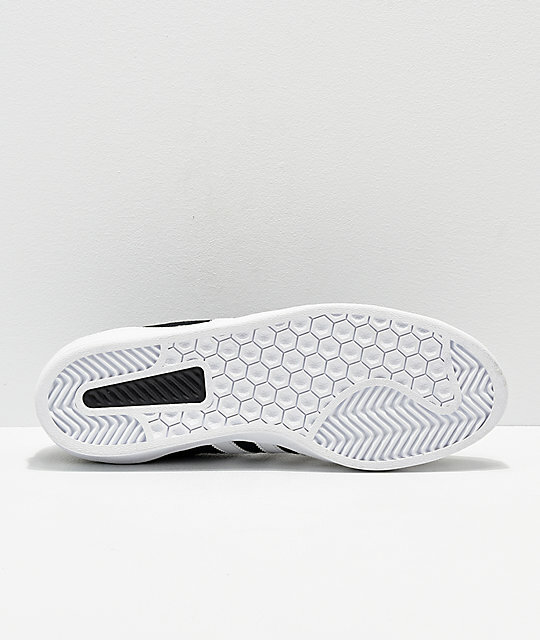 Grippy herringbone patterned rubber outsole for board feel.